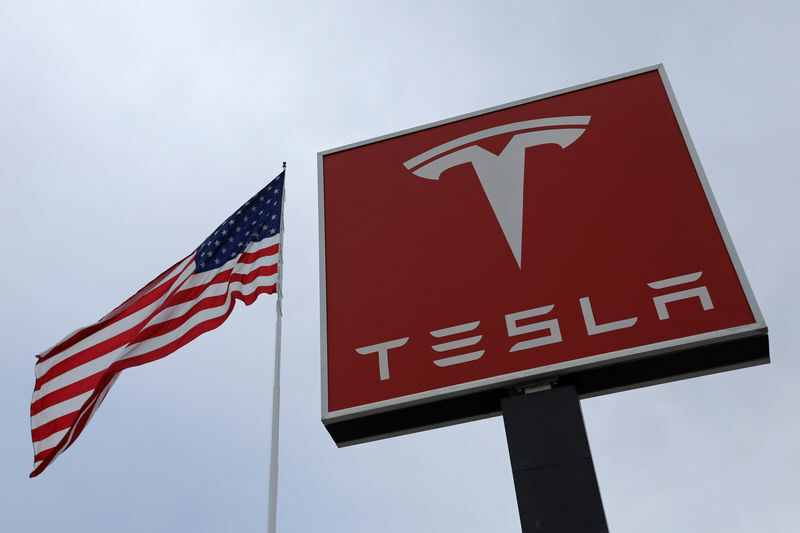 SAN FRANCISCO (Reuters) - Tesla (NASDAQ:TSLA) Inc said on Friday it had received a subpoena from the U.S. Securities and Exchange Commission over forecasts it made about Model 3 production in 2017, a set of targets the electric vehicle company failed to hit on time. The SEC issued subpoenas over "certain projections that we made for Model 3 production rates during 2017 and other public statements relating to Model 3 production," Tesla said in a quarterly filing on Friday. A subpoena can compel a company to turn over materials that the requesting agency wants to review. The SEC had also issued subpoenas in connection with Chief Executive Elon Musk's previous statements that he was considering taking the company private, it said. "To our knowledge no government agency in any ongoing investigation has concluded that any wrongdoing occurred," Tesla wrote in its filing. Investors have been trying to ascertain if the worst is over for the Silicon Valley company amid the fallout from Musk's short-lived plan in August to take the company private, and determine if Tesla has finally stabilized its rocky Model 3 production and can build the car at a profit. Following the launch of the Model 3 last year, Tesla repeatedly missed aggressive production targets for the new vehicle, blaming "manufacturing bottlenecks." Jay Dublow, a partner with Pepper Hamilton LLP and former branch chief in the SEC's enforcement division, said the agency was likely looking at whether Tesla's projections had been "based on fact or not." "It is possible for another SEC enforcement action down the road if it turns out that the projections were purposefully or recklessly made without a basis," Dublow said. Tesla is already facing a proposed class action shareholder lawsuit claiming that the company and top executives made false statements about the readiness of the Model 3 for volume production. The lawsuit cites repeated promises in 2017 that Tesla was "on track" to build 5,000 Model 3s per week by the end of that year at its factory in Fremont, California. Tesla has denied the claims, saying it disclosed production bottlenecks once identified, and pointing to Musk's public statements that the company was undergoing a period of "production hell" in 2017. Tesla has weathered a rocky few months in the wake of Musk's tweets that he had "funding secured" for a deal, later scuttled, to take Tesla private. Musk and Tesla settled with the SEC in September after the agency sued for fraud. Last week, investors were cheered by the company's third-quarter net profit, wider margins and positive cash flow, which sent shares climbing. The company said then it had booked $52 million in "zero emission vehicle" credit sales. It did not say at the time that it had gained another $137 million in regulatory credits, which contributed to nearly half of the profit.